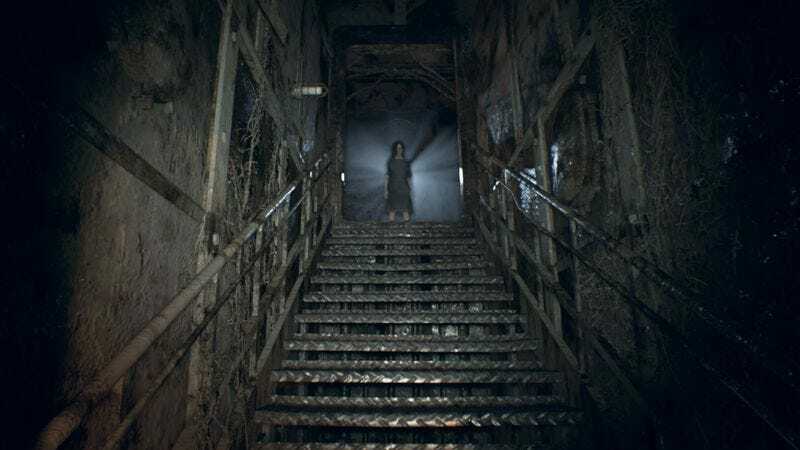 Thanks to super-producer James Wan, the Resident Evil movie series is getting rebooted with a new focus that will reportedly bring it more in line with the Resident Evil video games—or at least the good Resident Evil video games. Now, as reported by Variety, the reboot has found a writer and director in Johannes Roberts, the guy behind the surprisingly huge shark thriller 47 Meters Down. He also made Strangers: Prey At Night, so it seems like Wan and production company Constantin Film are looking to capitalize on his established penchant for doing a lot with smaller-scale horror. The original Resident Evil games were much quieter and slower than the movies, though the games themselves eventually went in that direction as well, but the recent Resident Evil 7 pulled the series back to its “scary things in a house” beginnings. With Roberts on board, it seems like the new movie will try to do something similar—if not the exact same thing, as a straight adaptation of Resident Evil 7 wouldn’t be too hard.